Techeetah’s Jean-Eric Vergne claims 2017/2018 Formula E drivers’ title, Audi claims teams’ title | Car News, Reviews, & Pricing for New & Used Cars. 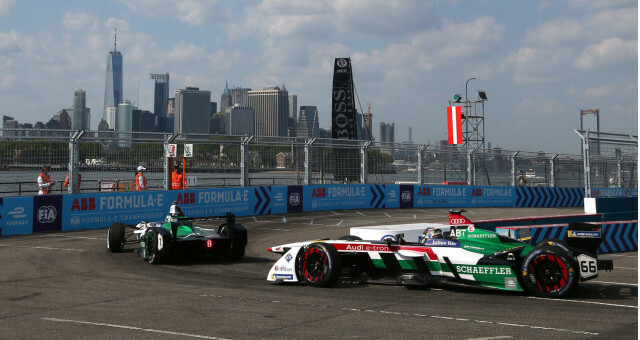 The 2017/2018 Formula E Championship, the fourth season of the electric car racing series, wrapped up this past weekend with the running of the dual-race New York ePrix. 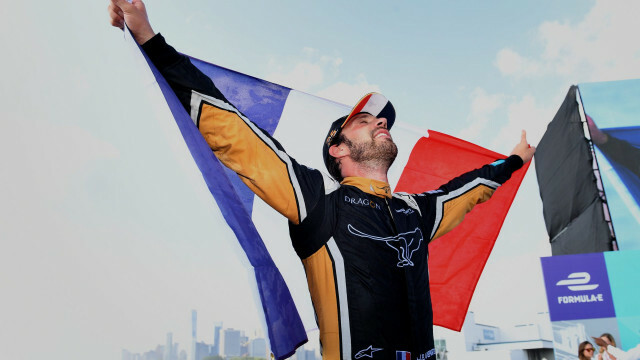 Jean-Éric Vergne, driving for Techeetah, took victory in the Drivers’ Championship in the first race held Saturday. He battled from the back of the grid to finish fifth, wrapping up the championship by a margin of 30 points, with one race left to run the next day—which Vergne ended up winning. He finished the season with 198 points, besting Audi Sport Abt Schaeffler’s Lucas di Grassi and Virgin Racing’s Sam Bird in second and third respectively. Audi Sport Abt Schaeffler ended up taking a surprise victory in the Team’s Championship, beating Techeetah by just two points. We say surprise as the Audi team required four podium positions, including a one-two finish and 78 of a maximum of 94 possible points, in order to do so. The 2017/2018 season was the last for the Spark-Renault SRT_01E chassis, which all teams have used since the inaugural 2014/2015 season. From the 2018/2019 season, teams will switch to the new Gen2 chassis. The biggest upgrade with the Gen2 cars sits with the battery pack. The cars boast double the capacity of the older cars. That’s a huge improvement as it means there will no longer be the need for a driver to swap cars halfway through a given race. It will also lead to higher top speeds and more aggressive team strategies. The Gen2 is still a control chassis though, meaning it’s common to all teams. Where teams are able to differentiate their cars is in the areas of powertrain, transmission, suspension, and software management. The 2017/2018 season will also see BMW and Nissan (replacing Renault) join the fray. And things will really heat up once the 2019/2020 season rolls around as this is when we’ll see Porsche and Mercedes-Benz join as well.